Home Weapons Is Jade Rabbit The Best Exotic Scout Rifle? The Jade Rabbit Exotic Scout Rifle was on sale from Xur recently, but it’s been famous long before then. This weapon started life out as an Emblem, but soon became an Exotic in Destiny 1 and has now made it’s way up to Destiny 2. But the question remains; is this the best Exotic Scout Rifle in Destiny 2? There are a few in the game, and even though this is ranked #15 in PVP it has some stiff competition. Let’s take a look at the details. The stats on this weapon are; 150 Rounds Per Minute, Impact of 67, Range of 82, Stability of 46, Magazine of 10, Reload Speed of 59, and Handling of 29. The hidden stats are; Zoom of 20, Aim Assistance of 80, and Recoil Direction of 100. Looking at these stats you can see why this weapon is so well-loved. It’s quite top-heavy, meaning it’s all about the impact and less about the accuracy, but it’s at least sitting around the middle when it comes to the stats that matter. Given that this is a Scout Rifle you definitely don’t need more than 10 ammo. The perks tell a bit of a different story. The Exotic perk, the Fate of All Fools, lets you chain body shots to increase the damage on your next precision shot. That precision shot will also return ammo to the magazine. this is a great perk for a weapon that you’ll definitely be making a lot of body shots in, just because it isn’t that stable. The rest of the perks are; Polygonal Rifling, which increases Stability, Armour-piercing Rounds, which increases Range slightly and causes additional damage to enemy shields, over-penetrating for additional damage, and Zen Moment, which increases Stability with the more damage you cause. These perks really enhance the weapon and boost the stat you need, Stability. This raises the weapon far above the bar and actually makes it a viable choice for both PVP and PVE, because that perk is just phenomenal in the Crucible, and against bosses. The other Exotic Scout Rifles in Destiny 2 are; Polaris Lance, MIDA Multi-Tool, and Skyburner’s Oath. Skyburner’s Oath is very good, but it’s geared towards a play style that focuses on firing from the hip, and because of that it’s not quite as good since the accuracy takes a real hit. MIDA Multi-Tool is good but only boosts your movement speed with it’s Exotic perk. That’s not really enough to put it ahead of Jade Rabbit, and the stats aren’t exactly better either, if anything they’re on a par. Finally, Polaris Lance is actually a little bit better, ranked #13 in PVP. The perks on this weapon stack nicely, leading up to big damage without too much hassle from the user. The Exotic perk is also incredible, loading a delayed Solar shot into your magazine once you’ve chained 4 precision shots. To top it off, those precision shots also load ammo into the magazine. So in conclusion, the Jade Rabbit is the second best Exotic Scout Rifle in Destiny 2, just behind Polaris Lance. 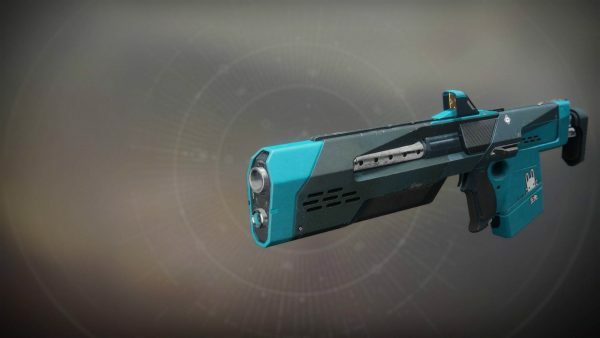 However, Jade Rabbit was added to Destiny 2 with Curse of Osiris, and Polaris Lance with Warmind, so you could say that they’re both the best Exotic Scout Rifle in their respective DLCs, making Jade Rabbit the best in at least one way. Let us know what you think about the Jade Rabbit in the comments.